When I saw this image I wanted to make a wallpaper, but I wanted something different from the things I used to make. Well, I loved the result! The wallpaper is looking great. The extraction is well done and the colours are going fantastic together. Quote by ZoamelFirst to comment?! Why? This was the first one of my new wallpapers (all that you see in my gallerys). Yes, really a great work with the background! 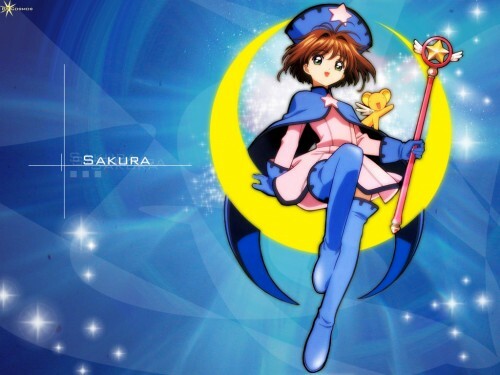 That's a pretty pic of Sakura sitting on the moon and matching the background. a beautiful sakura wallpaper I love it! This is so beautiful! the pic of Sakura looks very nice too! Awesome job!